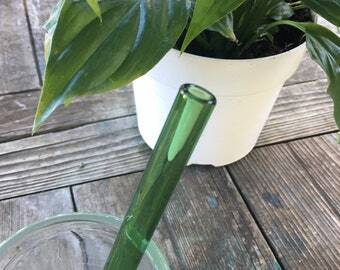 Announcement Special Free Shipping Offer Has Been Extended for all glass made before Feb 2019! Also when you make a purchase then leave a five star review by April 20th with a photo you will be entered into our GLASS BOX giveaway! I am proud to bring you 100% handmade and handblown functional art glass and unique handcrafted artisan made one of a kind timeless fun and elegant treasures. Special Free Shipping Offer Has Been Extended for all glass made before Feb 2019! New Teal Blue color stir sticks! They are so pretty with their swirls. New design black and grey stir sticks will be available in the ocean each glass.etsy.com store today! $20.00 plus Get free shipping in the USA use code GLASSLOVE at checkout for discount. Greetings and salutations from Ocean Beach Glass in the Golden State., From the Bay to the Coastal mountains of Northern California. I follow sunsets and daydreams, my world is what I make and my passion for this fire work is more than deep, but a need in my heart to be part of. I often have sand in my shoes and you'll find I'm truly the most happy when I'm working and being a family at the same time; to be with each hand in hand. Music and the Earth and Skies Inspire me. Though I have worked with many art forms and crafts all my life, Glass is my medium of choice as it allows me to flow freely like the movement of the liquid of the earth that connects us all. A little science and a little art, allowing my mind to grow with every time I see the light of the torch. I've always been a serious knowledge seeker, and visionary artist.. and glass.. well glass, it's like honey, and can drip like water. In melting, allows you to transform it into whatever my heart desires. I'm grateful for the support of the people who truly collect my glass marbles and stirs. Thank you Thank you Thank you. Especially my return customers who loyally come back to me time and time again. My Ocean Beach Glass Listings and Etsy store have been pictured in the 2015 Better Homes and Gardens May 2015 magazine issue and you can find me published in the winter 2014 issue of the Flow Magazine., a glass magazine for the flameworking community and Featured in the Women in Glass issue and the 2015 Marbles and Paperweights Issue of the Flow Magazine. I collect email addresses for my yearly holiday sale and will only once a year email some of you with a special offer. This is out of appreciation as so many of my customers are return customers and deserve extra savings when they are available. Thank You for choosing Ocean Beach Glass. Information I Collect To fulfil your order, you must provide me with certain information (which you authorized Etsy to provide to me), such as your name, email address, postal address, payment information, and the details of the product that you’re ordering. You may also choose to provide me with additional personal information (for a custom order, for example), if you contact me directly. I collect email addresses for my yearly holiday sale and will only once a year email some of you with a special offer. This is out of appreciation as so many of my customers are return customers and deserve extra savings when they are available. I will Never share your personal information or email addresses with 3rd parties Thank You for choosing Ocean Beach Glass. All glass is made of a borosilicate hard scientific glass which is similar to Pyrex, it is eternally reusable, recyclable and completely toxin free. It is best for both hot and cold uses and is dishwasher safe. Glass is also cleanable with rubbing alcohol.